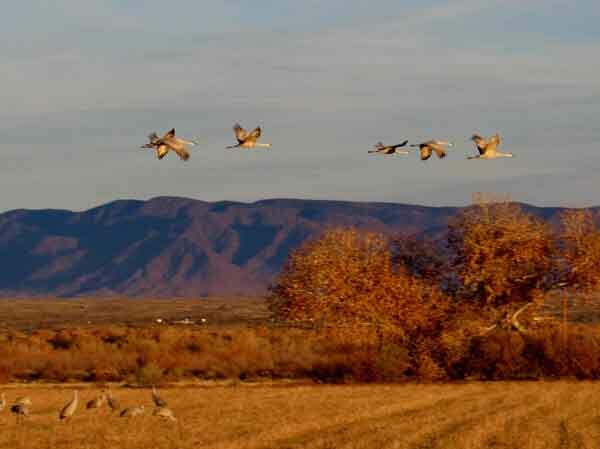 We saved ourselves untold amounts of trauma by not going shopping on Black Friday and going to the Bernardo Bird Refuge, right at sunset when the sandhill cranes were flying low, dropping their landing gear, and coming in to a soft landing. We saw hundreds of them, but oddly enough saw no other birds at all, though we heard bird calls from the trees, including one rather vocal owl that seemed to want to attract our attention. I went birding yesterday afternoon with my middle daughter at the Lexington Cemetery (KY), an excellent place for birding. Hundreds of robins, some starlings, cardinals, woodpeckers, nuthatches, and a small ground sparrow we didn’t see enough of to ID. My daughter spotted a yellow bellied sapsucker, which was not in my life list. It is now, FTW! I went there maybe fifteen years ago around Thanksgiving to see the cranes. Beautiful place.